When he began his advanced specialist training in infectious diseases, Dr Leong pursued his interest in virology at the Royal Free and University College Medical School, London, under a fellowship awarded by the National Medical Research Council. In 2008, he was awarded a second research fellowship to train at the University of Columbia, New York, on emerging pathogens. 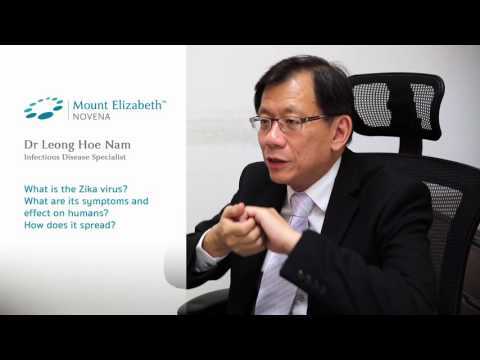 Dr Leong was previously a consultant in the Department of Infectious Disease in SGH before setting up his own clinic at Mount Elizabeth Novena Hospital. He has been directly involved in the care of transplant patients, individuals with multi-drug resistant organisms, tuberculosis, HIV, AIDS, surgical complications, viral infections, fungal infections including aspergillosis, cryptococcosis and mucormycosis, and complex medical problems. He had first-hand experience in managing outbreak situations including SARS and the H1N1 pandemic infection. He has also published several research papers on virology. Dr Leong is frequently sought for his opinion on infectious diseases and is often interviewed live on TV, radio, and quoted in mainstream broadsheet newspapers and publications. Dr Leong was a clinical tutor at the Yong Loo Lin School of Medicine. He was a faculty member at the Duke-NUS Graduate Medical School and remains a visiting consultant at the Singapore General Hospital, the National Cancer Centre Singapore, and Dover Park Hospice. As the Zika virus continues to take the spotlight in world news, you might be wondering how worried you should be about it. Tuberculosis, also known as TB, is an infectious disease that can be fatal if left untreated. The facet of HIV has changed from a deadly disease of yesteryear to a manageable chronic condition today. Advances in medicine now allow patients to have children without transmitting HIV to their spouse or child. Hand, food and mouth disease (HFMD) is a common but painful illness among children.